Block Mundie Moms & Mundie Kids? This will prevent Mundie Moms & Mundie Kids from sending you messages, friend request or from viewing your profile. They will not be notified. Comments on discussion boards from them will be hidden by default. 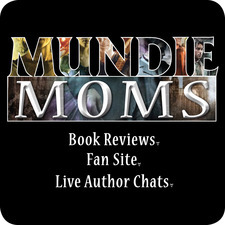 Sign in to Goodreads to learn more about Mundie Moms & Mundie Kids. Mundie Moms & Mundie Kids said: " Holly Black what have you done to me?!?! This book is a mixed bag of so many emotions! It’s SO GOOD so far! " We’d love your help. Let us know what’s wrong with this preview of Look the Part by Jewel E. Ann. We’d love your help. Let us know what’s wrong with this preview of The End of the World and Beyond by Avi. We’d love your help. Let us know what’s wrong with this preview of Imprison the Sky by A.C. Gaughen. We’d love your help. Let us know what’s wrong with this preview of Only a Breath Apart by Katie McGarry. Mundie Moms & Mundie Kids has read 11 of 75 books. Mundie Moms & Mundie Kids read 226 books of her goal of 225! Mundie Moms & Mundie Kids read 202 books of her goal of 175! Mundie Moms & Mundie Kids read 196 books of her goal of 195! Mundie Moms & Mundie Kids read 121 books of her goal of 115! Mundie Moms & Mundie Kids read 158 books of her goal of 150! Mundie Moms & Mundie Kids read 136 books of her goal of 130! Mundie Moms & Mundie Kids read 271 books of her goal of 222! Mundie Moms & Mundie Kids read 404 books of her goal of 250! Take a look at Mundie Moms & Mundie Kids’s Year in Books. The good, the bad, the long, the short—it’s all here.